A blend of spirit and juice. Ingredients: Concentrated Peach Juice (0.1%), Brandy (0.2%). 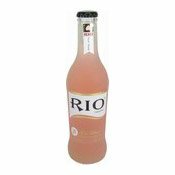 Simply enter your details below and we will send you an e-mail when “Rio Cocktail (Peach & Brandy) (3.8%) (雞尾酒 (蜜桃白蘭地))” is back in stock!